Vollglas-Thermometer in Stöckchenform zum Einhängen am Beckenrand. Sorry for my previous review about this product, it should have been placed in the heater and not the thermometer. This thermometer is small and made of glass so one almost does not see it in the tank. However is also a bit difficult to read the temperature. Bought this for a 43L Cocoon aquarium. Very small and good product. 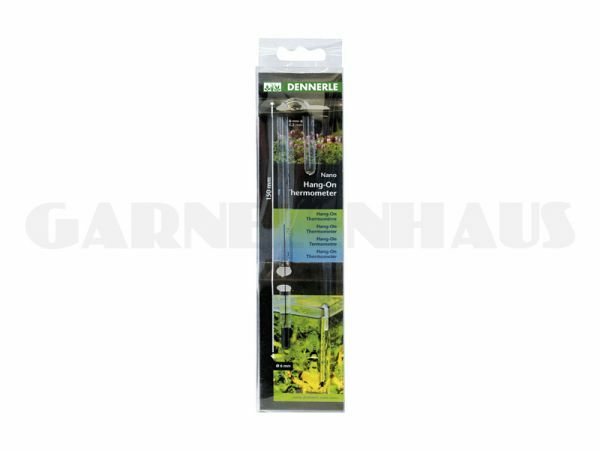 I also have a 50w Eheim but this Dennerle is much smaller, compact and works better in my opinion.